Video: Flamingo chick goes for a run. The flamingo chick who needed a second chance is now in first place. Take a look at the 7-week-old chick's impressive running skills. Hatched in August, the third flamingo hatching of the year, this chick started life in a precarious situation. The egg was found unattended so zookeepers took it behind the scenes to incubate safely. 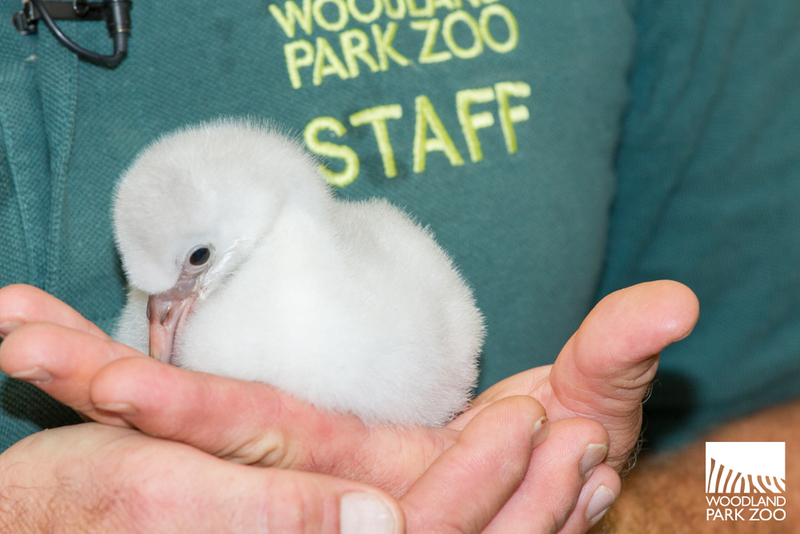 Once hatched, the chick had a dedicated team of zookeepers and animal health staff ready to give it the care and attention it needed to thrive. “In less than two months it’s gone from receiving up to five feedings a day to being fully weaned. The chick now weighs a little over 2 pounds and is big enough to go on longer walks, with keepers, in safe outdoor areas off public view," said zookeeper John Samaras. Throughout the day, zookeepers hold exercise sessions with the chick to encourage it to walk and stretch to strengthen its growing legs. "When it’s at an appropriate age and size, we’ll begin to introduce the chick to other members of the flock," John added. 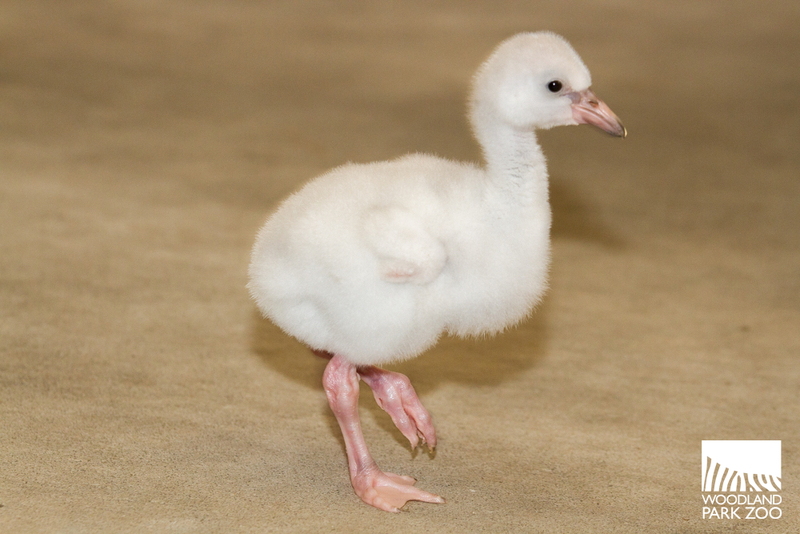 Four Chilean flamingo chicks hatched at the zoo this year; two chicks are currently being parent-reared in the colony and another chick is also being hand raised off public exhibit. A total of 15 chicks have hatched since the exhibit opened in 2008. The zoo currently has 42 Chilean flamingos. Woodland Park Zoo supports the Flamingo Research & Conservation in Southern South America project through its Wildlife Survival Fund. The project focuses on research, management, conservation, capacity development, and outreach activities at key sites throughout the flamingo distribution range. Continued monitoring is necessary in order to track conservation status of lowland wetlands, and to determine factors driving flamingo use of these wetlands. Saving tigers is a complicated business. It’s not enough for researchers and conservationists just to know where the tigers are. Saving them requires knowing how many there are, where and how they travel, what their prey base is, how to sustain them and what the imminent threats are to their survival. From this vast database of knowledge comes one obvious fact: the tigers need to have a place to live and a way to safely move from place to place. 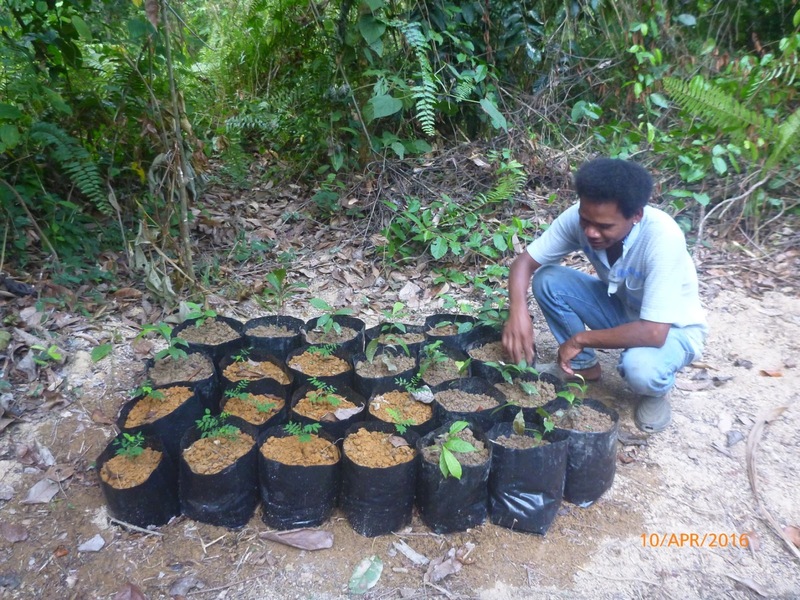 Enter Woodland Park Zoo Wildlife Survival Fund partner Malaysian Conservation Alliance for Tigers (MYCAT) and their recent Rewilding of the Sungai Yu Reforestation project. The project is a component of the Sungai Yu Tiger Corridor Conservation Program, which is striving to return wildlife and forests to the Sungai Yu tiger corridor in Peninsular Malaysia. During her doctoral work, Kae Kawanishi, MYCAT General Manager and Head of Conservation, identified two critically threatened wildlife corridors connecting Taman Negara National Park to adjacent large forests; one north of the park by Lake Kenyir, and the other west of the park, the Sungai Yu corridor. 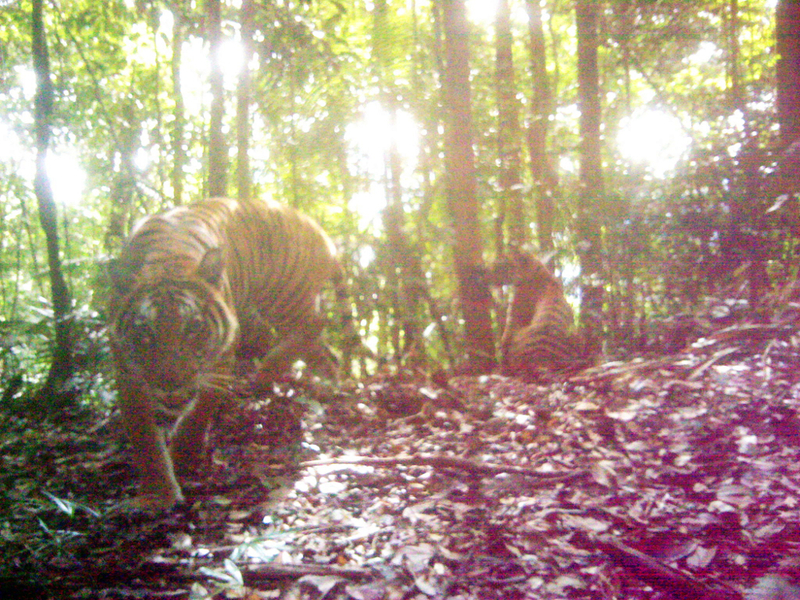 Kawanishi’s research showed that endangered species, including tigers, were being poached out of Sungai Yu, and the connectivity was being threatened by the proposed Central Spine Road upgrade. That highway, once a two-lane road, was set to be upgraded to a four-lane highway with guard rails and dividers, making it virtually impossible for wildlife to cross safely and successfully. The area planned for revegetation as part of the Sungai Yu Reforestation Project. Photo courtesy MYCAT. 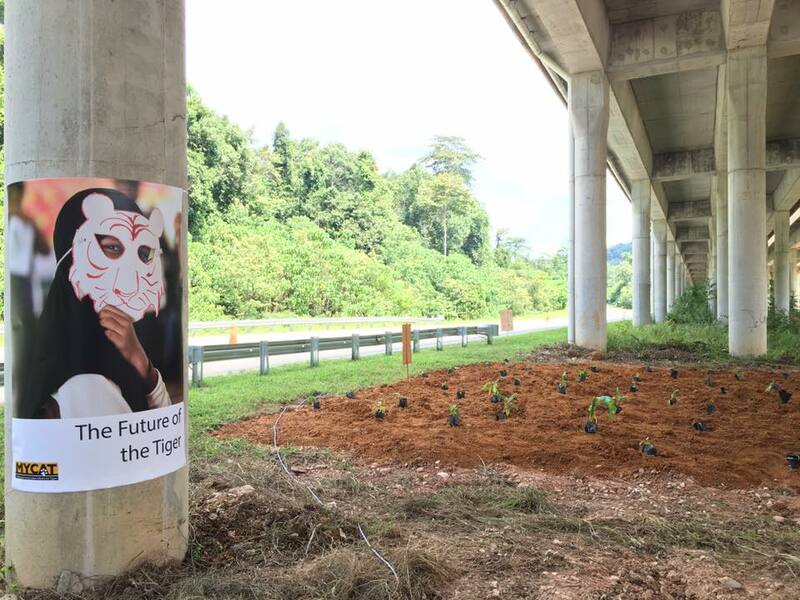 MYCAT, in conjunction with the Department of Wildlife and National Parks Peninsular Malaysia (DWNP), was concerned about the upgrade of the highway, especially in light of Sungai Yu’s identification as the highest priority linkage in keeping large forest complexes connected for the Malayan tiger. Working together, and as a result of MYCAT’s research and advocacy, the Malaysian Government invested $27 million to elevate the top three stretches of the new highway at critical wildlife crossing points, giving tigers and other wildlife the ability and freedom to move back and forth along this critical ecological corridor. But just creating the underpasses was not enough. 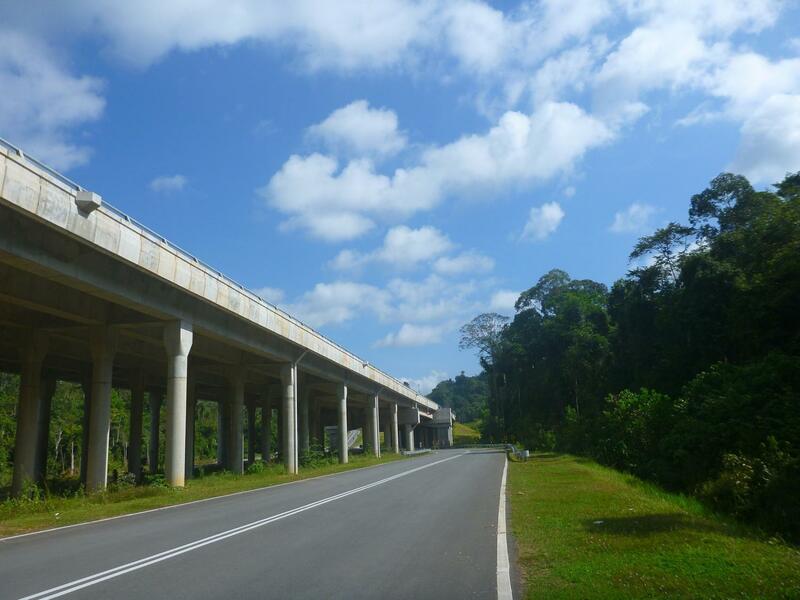 The highway project, completed in 2014, stripped away much of the forest and degraded what was left inside the corridor. Despite the elevated points in the highway, this lack of suitable vegetation meant there was a danger of losing the final link connecting the fourth largest tiger landscape in the world. It wasn’t just the highway work impacting the habitat; much of the on-going forest clearing for rubber plantations and orchards is illegal. Add to that the poaching of commercially valuable species such as tigers, sambar deer, gaurs and pangolin, and you have a true environmental crisis. A nursery was set up by indigenous people living in the corridor. Photo credit Rob Waller/MYCAT. To address the deforestation issue, MYCAT launched the 5-year Sungai Yu Reforestation Project. The purpose is to restore native vegetation in order to provide safe passage for wildlife to cross the corridor under the highway. 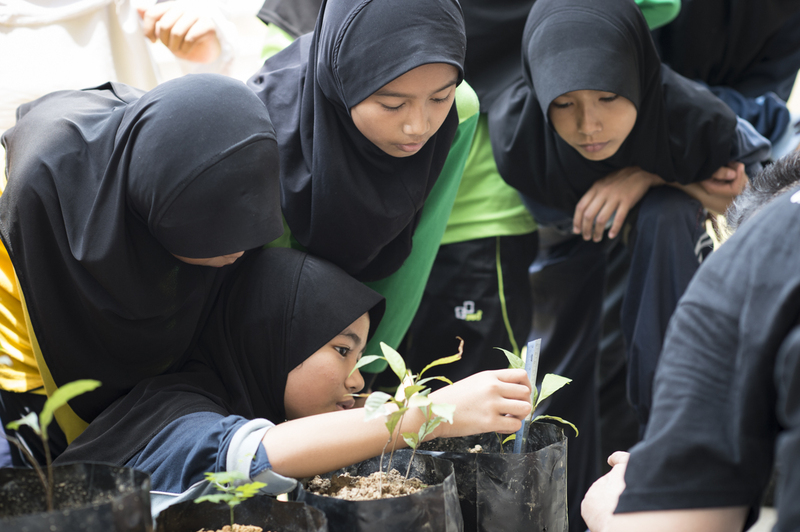 The project was launched at a reforestation event, officiated by Princess Aishah of Pahang, and drew approximately 200 people from all walks of life: government agencies, the private sector, road engineers, villagers, school children and volunteers. Over 95 percent of the saplings planted that day have survived, providing not only a start to a healthy habitat corridor for tigers and other wildlife, but ensuring sustainable resources for ecological services to many generations of Malaysians to come. 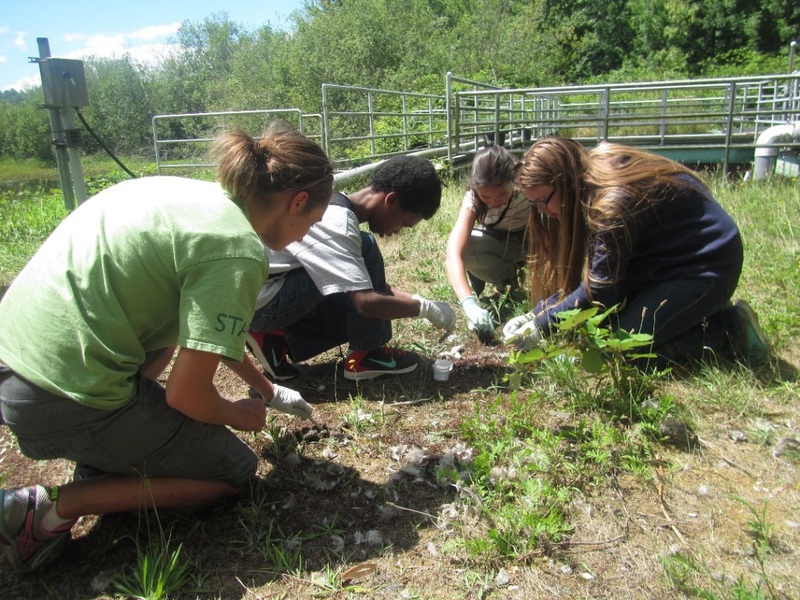 Students from a local school adopted and planted 20 saplings on Global Tiger Day. Photo credit Rob Waller/MYCAT. To learn more about MYCAT, their Citizen CAT walks and the Sungai Yu Reforestation Project, follow the program. The saplings planted on Global Tiger Day. Photo credit Rob Waller/MYCAT. Imagine coming face to face with a giraffe, waking up to a lion pride right outside your bedroom, or watching as a skilled veterinary team heals an injured rhino out in the field. Kenya’s Lewa Wildlife Conservancy—one of the beneficiaries of the American Association of Zoo Keepers’ (AAZK) upcoming Bowling for Rhinos event—is home to many life-changing experiences that have strengthened the resolve of AAZK members to keep fighting for wildlife. 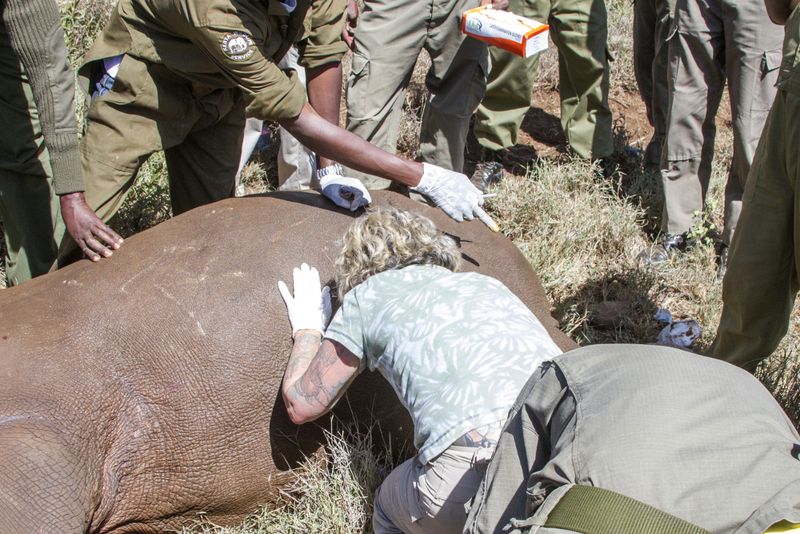 An injured rhino gets a helping hand thanks to the Lewa Wildlife Conservancy field team. Photo: Dennis Dow. Bowling for Rhinos offers an opportunity for you to join that fight. All funds raised from the event go directly to rhino conservation in four locations: Lewa Wildlife Conservancy (LWC) in Kenya; and Ujung Kulon, Bukit Barisan Selatan, and Way Kambas National Parks in Indonesia through the International Rhino Foundation. Open to all to attend, this year’s Bowling for Rhinos event is coming up on Sun., Sept. 11, at the University of Washington HUB. Not a big bowler? The event also features a delicious dinner catered by Pecado Bueno, fabulous raffle prizes, the Sunday Night Football game (for avid football fans), and other great games including pool, ping pong and a video game room. Purchase tickets for Bowling for Rhinos (or simply make a donation) at www.brownpapertickets.com. 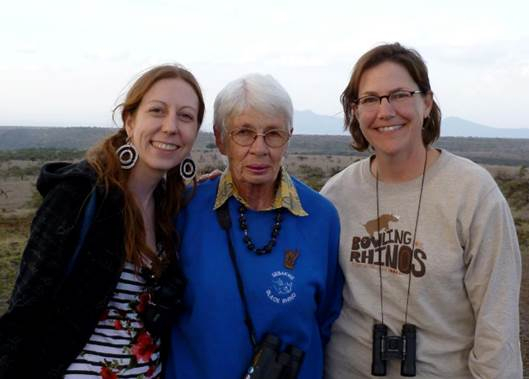 To help us understand the impact made by supporting this event, we interviewed Woodland Park Zoo keeper Norah Farnham and coordinator of volunteer engagement Julie Ann Barowski about their personal experiences visiting the Lewa Wildlife Conservancy, including a recent trip this past spring. Julie Ann Barowski (left) and Norah Farnham (right) pose with LWC co-founder Anna Merz. Woodland Park Zoo (WPZ): Why do you visit Lewa? Julie Ann Barowski (JAB): The animals! Seeing a crash of rhinos run across the savanna, watching an elephant so close that you can hear the sound of it tearing grass from the ground, or even watching a dung beetle struggle to roll its perfectly round ball uphill; there is nothing that compares to being there in Lewa and experiencing the wildlife in person. No matter how many times we go, every trip is different, and we experience and learn something new every day. Norah Farnham (NF): The Kenyan people are so warm and welcoming. We have been fortunate enough to make many friends there, and we love returning to visit them. WPZ: What animals are protected and cared for by Lewa? JAB: Since its inception in 1990, Lewa’s focus has been on protecting rhinos; this was the vision of Anna Merz who founded Lewa (then called Ngare Sergoi Rhino Sanctuary) along with the Craig family. 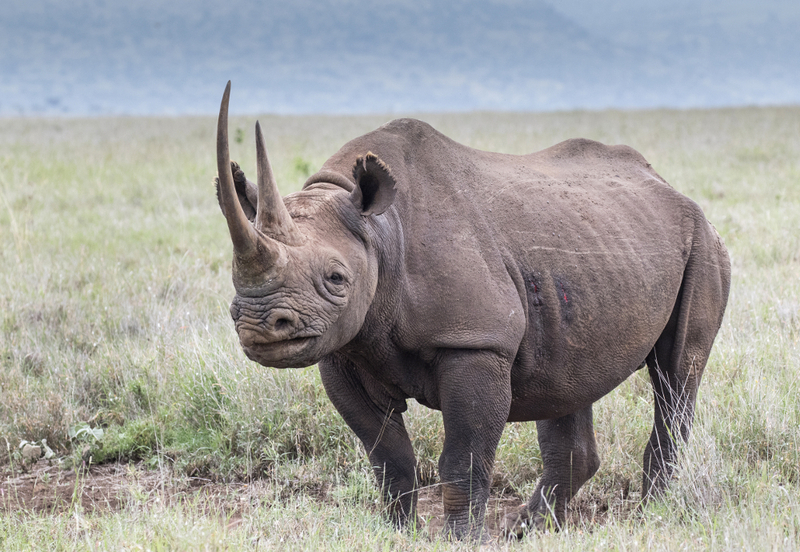 It is home to both black and white rhinos, and because rhinos require so much land to successfully live on, they act as an umbrella species allowing the conservancy to protect a plethora of other wildlife. Roughly 15 percent of the world’s population of endangered Grevy’s zebras lives in the conservancy, and Lewa is home to over 70 other species of mammals including elephants, lions, cheetahs, hyenas, leopards and wild dogs (just to name a few). 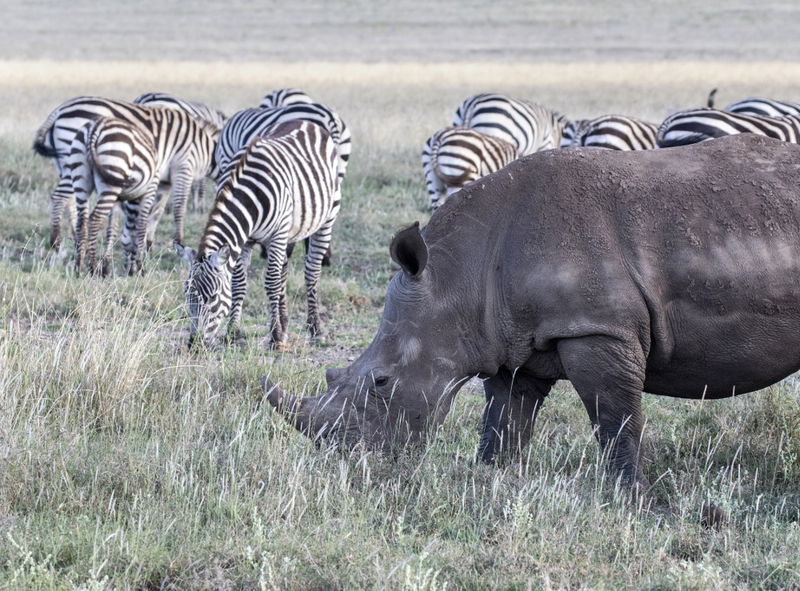 WPZ: Why is Lewa’s work important? JAB: Lewa has a strong focus on community based conservation. They not only provide the security, medical care and other tools needed to protect animals, but they also support local schools, operate clinics, a women’s micro credit program, water conservation projects, and provide a variety of other support to the local community. An estimated 55,000 people directly benefit from Lewa’s development programs. The community is invested in helping protect wildlife because they directly benefit from the conservancy. WPZ: Have you had any life changing experiences at Lewa? JAB: Visiting a local school was incredibly humbling. 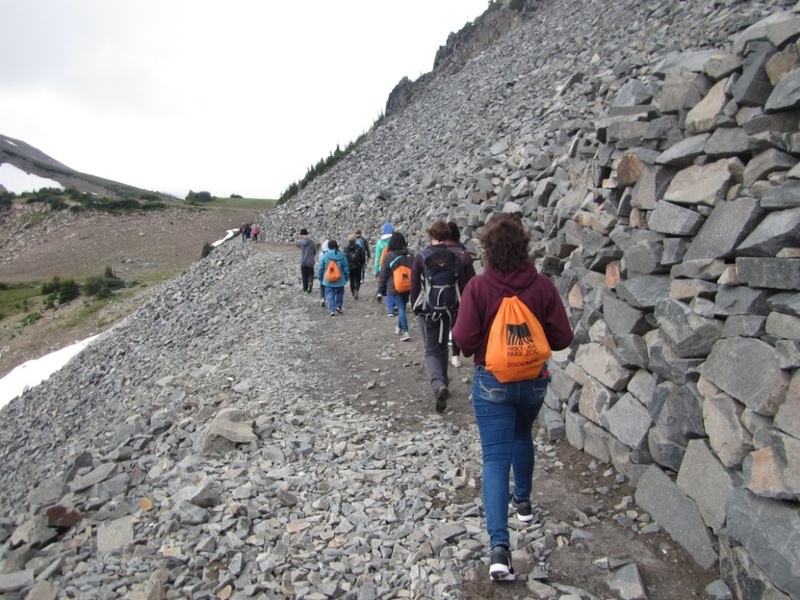 The resources are sparse compared to what we’re used to in the U.S. On top of things we might typically think of schools being in need of such as more desks and more books, they have to consider many other things. For example, when most families don’t have electricity, you have to think about how much homework to assign since the students won’t have a lamp to work by. NF: It’s also amazing to think that many of the children we meet left their homes in the dark to walk as many as five miles to get to the school. Still, they are cheerful and eager to meet us and tell us about their dreams for the future. We were also awed by the experience of going on deployment with the rhino rangers at Borana Conservancy. We went to the rangers’ barracks and met and thanked all of them. Then, two got into our vehicle and we drove them to what seemed (to us) to be the middle of nowhere. They assumed their positions with rifles at the ready. As we drove away and left them, I was brought nearly to tears thinking of how they give up so much to help protect rhinos. They would stay awake all night in the spot we left them—in the rain and cold, with no fire, no conversation, nothing. They just need to blend into the landscape and watch for poachers. It’s truly awe inspiring. 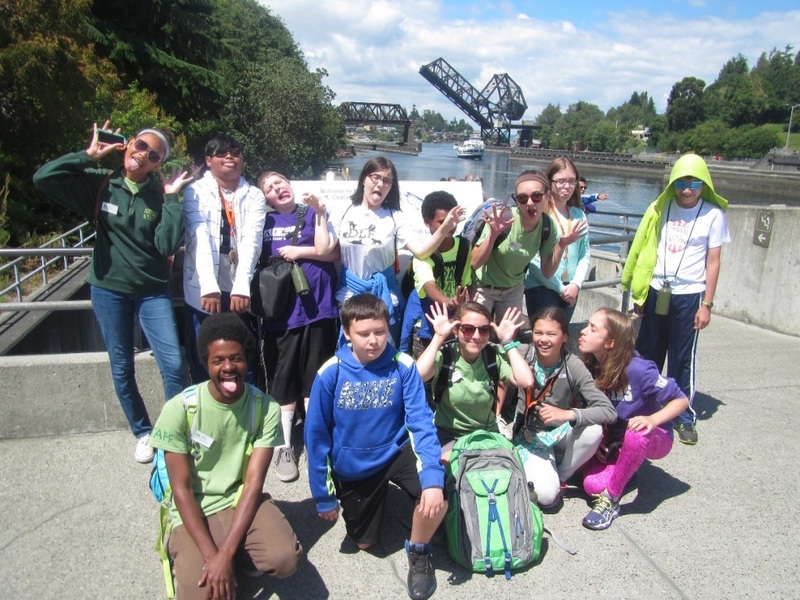 To learn more about how to take conservation action, visit the zoo’s conservation page and visit Woodland Park Zoo! Your time at the zoo is a chance to learn, care and join us in action—plus your zoo admission or membership supports our conservation mission. Coders and technology experts from the Seattle area—along with their counterparts in five other major cities—will join the battle against international wildlife trafficking in the first ever Zoohackathon, October 6-9, 2016. Registration is now open for interested coders, designers and project managers. 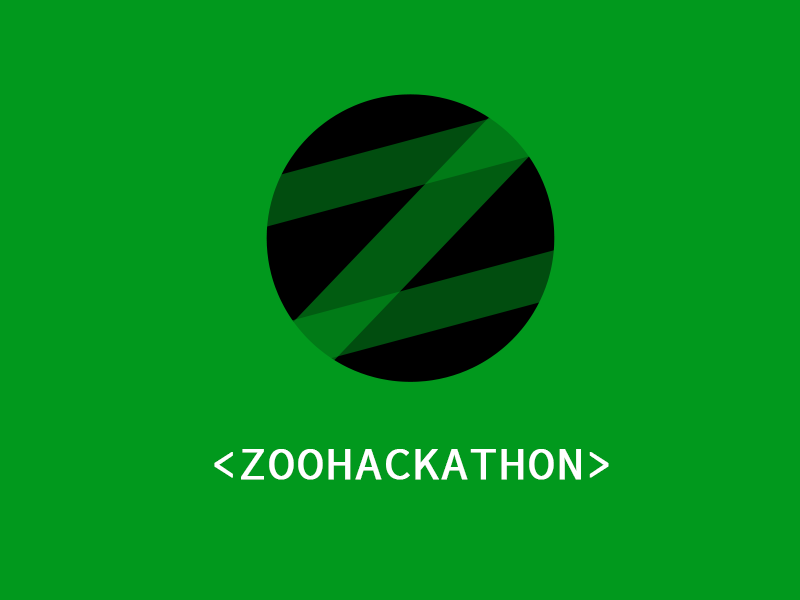 Organized by the U.S. Department of State and the Association of Zoos and Aquariums (AZA), the Zoohackathon is a computer coding and technology intensive event that will bring together technical gurus and subject matter experts to create applications, systems, and tools to help reduce demand for trafficked wildlife products. The Zoohackathon will build upon the U.S. Department of State’s successful Fishackathons, which have introduced new technological solutions for combating illegal, unregulated and unreported fishing. The inaugural Zoohackathon will include six AZA-accredited zoos in the U.S., U.K. and the Pacific with plans for expansion during future events. It is a part of the U.S. National Strategy for Combating Wildlife Trafficking. Representatives from the City of Seattle and University of Washington as well as Seattle area companies Vulcan and Microsoft will participate in the Zoohackathon hosted at Woodland Park Zoo. The growing demand for illegal animal products in international markets is playing a major role in driving species such as elephants, rhinos, tigers, turtles and pangolins to the brink of extinction. 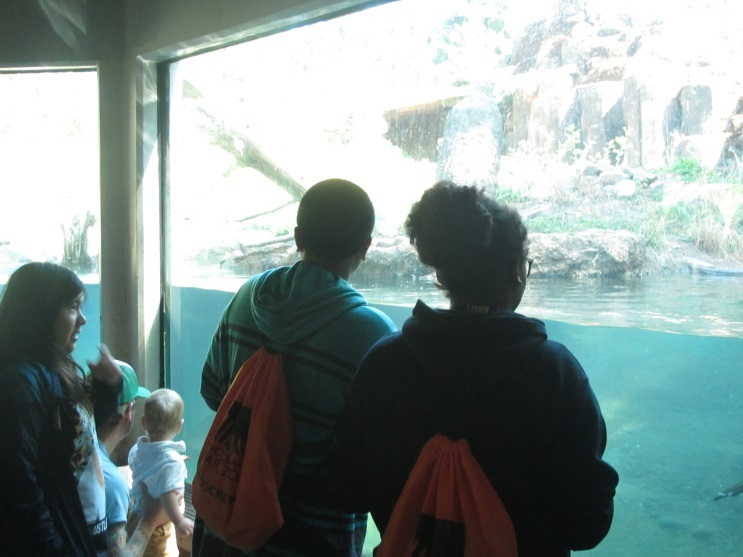 Woodland Park Zoo was chosen as a host site for the inaugural Zoohackathon because it is a worldwide leader in using technology to create innovative visitor experiences and is located within one of the most prominent tech cities in the world. The Zoohackathon will give up to 60 Seattle hackers the opportunity to direct their tech expertise in support of an important cause and further the city’s reputation for technology innovation through new solutions that combat the demand side of illegal wildlife markets. “Woodland Park Zoo is honored to be a part of the inaugural Zoohackathon and grateful to the U.S. Department of State and AZA for giving us this opportunity to help put an end to wildlife trafficking for good,” said Fred Koontz, PhD, Woodland Park Zoo’s vice president of field conservation. “With each passing day, some of our planet’s most rare and iconic animal species are being pushed closer to the brink of extinction. Koontz added, however, that in order to really close the loop of wildlife trafficking, both sides must be targeted: supply and demand. Washington state is at the fore of that effort. Last November, Washington state voters overwhelmingly passed Initiative 1401, making it illegal to buy and sell parts and products (within state lines) from 10 endangered species groups. I-1401 established a model for citizens, legislators and leaders across America—and around the world—to end the demand that fuels the extinction of animals in the wild. 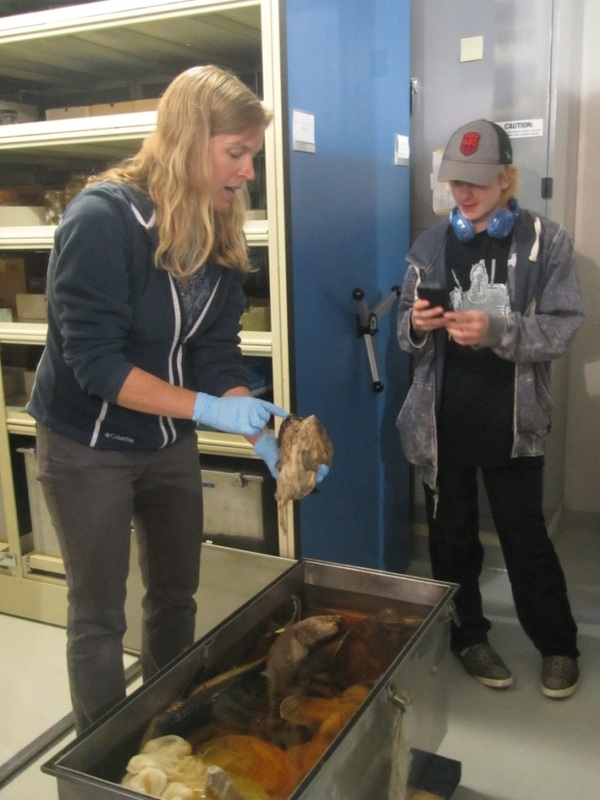 “Now, with the help of the Zoohackathon, we can further our efforts to reduce the demand for wildlife trafficking and preserve these iconic species,” Koontz said. 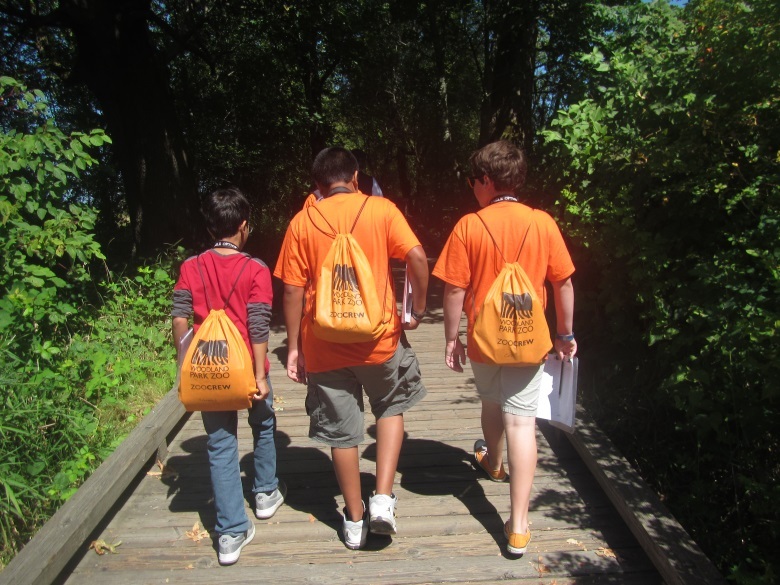 The Zoohackathon at Woodland Park Zoo will kick off Thursday, October 6, with an opportunity to hear from key influencers in the prevention of wildlife trafficking, meet local tech luminaries and attend the zoo’s annual Brew at the Zoo event. Representatives from Vulcan, Microsoft, City of Seattle, University of Washington, and the U.S. Department of State are among confirmed mentors and judges. Hacking takes place Saturday from 8:00 a.m. to midnight and resumes Sunday from 8:00 a.m. to 2:00 p.m. The winning solution will be chosen by the judging panel at the conclusion of the event and announced Sunday afternoon. Winners from each site are also eligible to enter the global competition. Prizes will be determined by a panel of wildlife experts and technologists and may include cash prizes, mentoring from industry professionals in conjunction with or apart from winning project development, and/or paid travel to present winning projects at international forums. 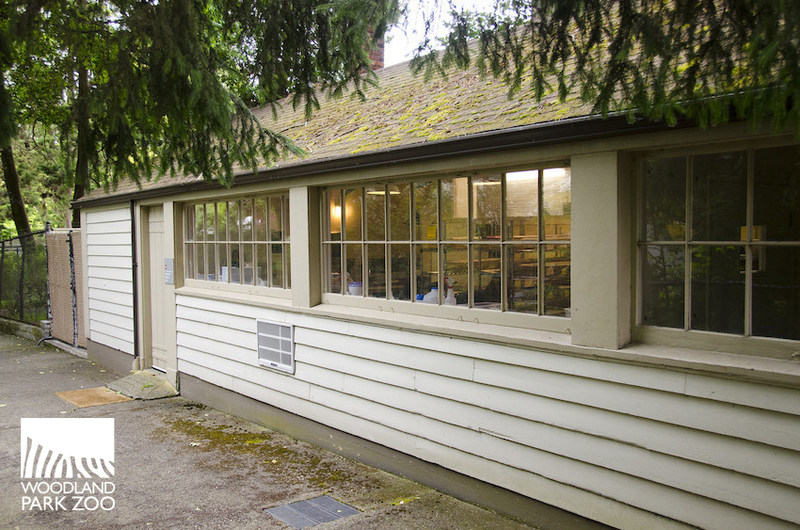 Just beyond Molbak's Butterfly Garden, this unassuming building is homebase to the zoo's butterfly conservation efforts. Photo: Ryan Hawk/Woodland Park Zoo. Inside the zoo’s butterfly conservation lab, I squint at the tiny larvae that somehow seem not much larger than the period at the end of this sentence. When I ask Erin Sullivan, Woodland Park Zoo collection manager and entomologist, how big they will get when they become adult butterflies, she demonstrates by pinching the gap between her thumb and index finger. “Pretty big,” she says without irony. In the world of butterflies, size is measured in pinched fingers and adult life expectancy in mere days. 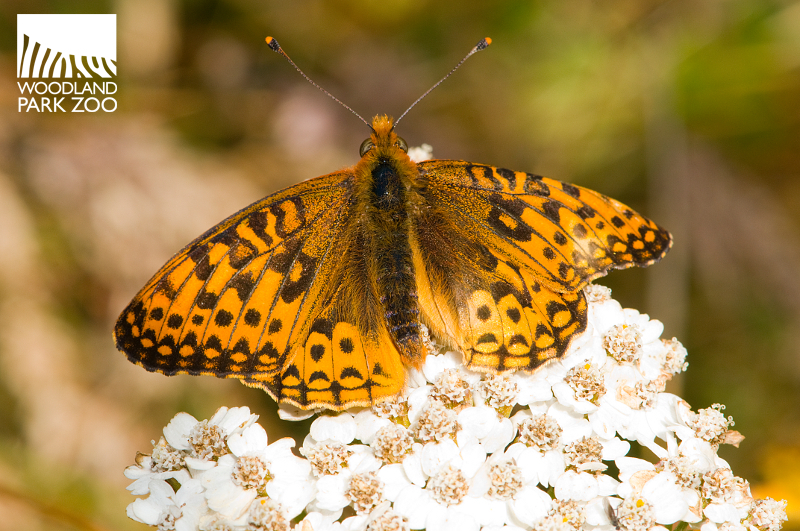 In the world of butterfly conservation, however, there is nothing small or short lived about our effort to restore the threatened Oregon silverspot butterfly, a native of our beautiful Northwest. Oregon silverspot butterfly. Photo: Ryan Hawk/Woodland Park Zoo. For 15 years Woodland Park Zoo has joined Oregon Zoo, U.S. 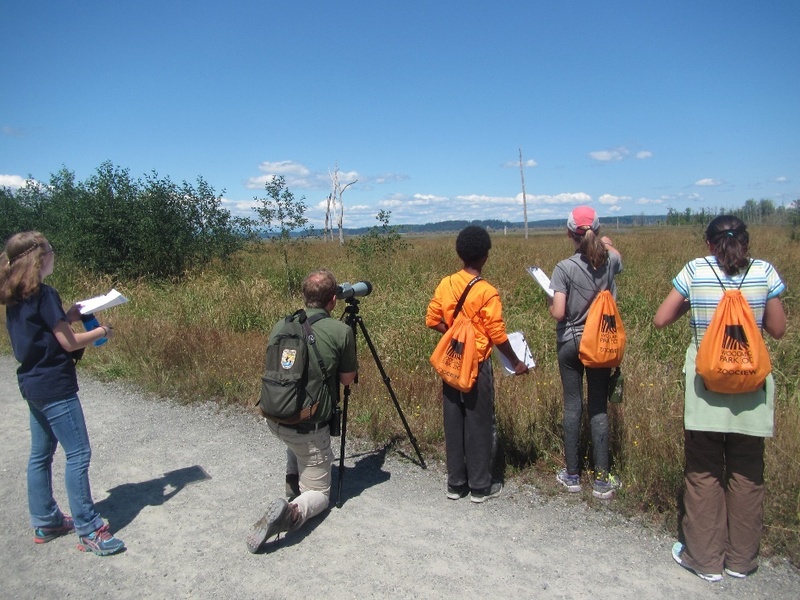 Fish and Wildlife Service, The Nature Conservancy, and other partners to preserve silverspot butterflies on Oregon’s coast as part of our Living Northwest conservation program. The butterflies play an essential role as pollinators and though they fly the skies for just a few weeks, it takes all year to assure their success. Each summer, U.S. Fish and Wildlife biologists collect female butterflies and send them here, where they lay eggs inside our conservation lab. After the eggs hatch, the small larvae take a big drink of water, find their way to tiny corrugated cardboard yurts that we provide for shelter, and snuggle in for the winter. Winter is spent in a state of diapause within carefully managed microenvironments built inside jars. 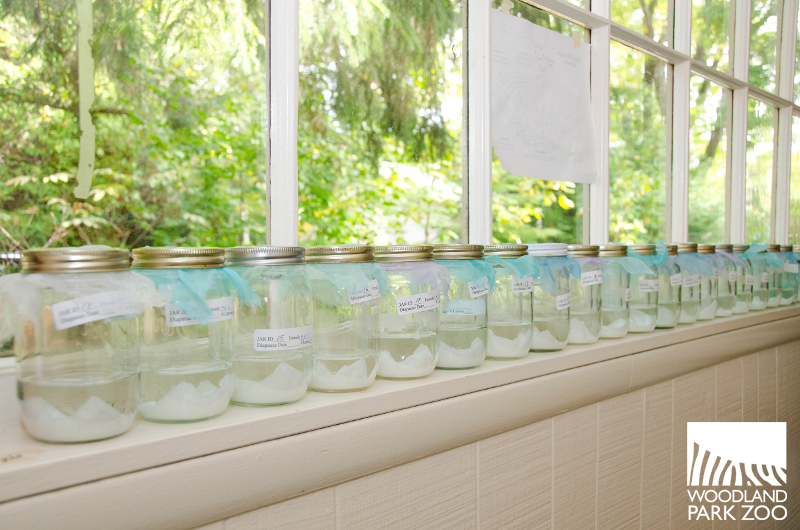 The jars are refrigerated for months to keep their environment stable and controlled during this time of inactivity. Microenvironments, aka jars. Photo: Ryan Hawk/Woodland Park Zoo. 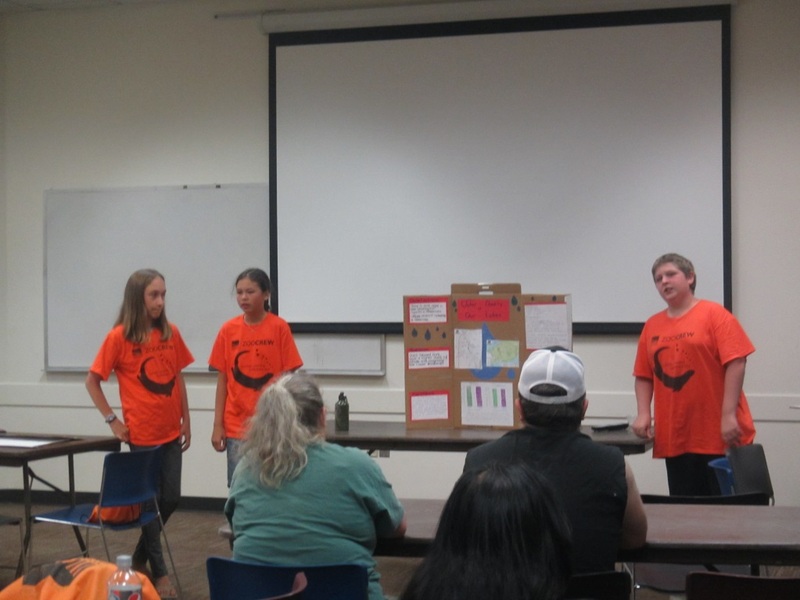 As Erin explains, when you consider how hard you need to work to ensure a head of lettuce keeps in your fridge for a week, you can start to understand how it’s no small task to keep hundreds of larvae thriving inside a refrigerator for nine months! In the spring, we rouse the caterpillars from their winter slumber. Then the real hands-on care begins. 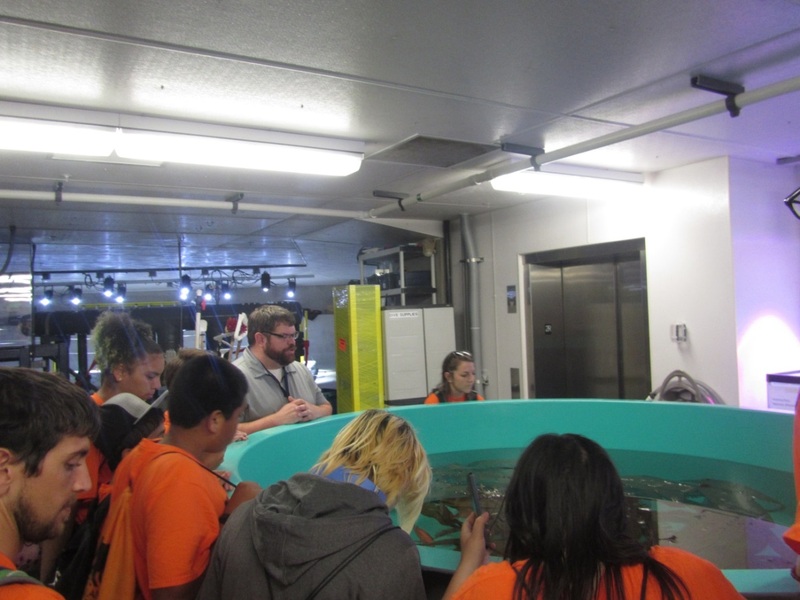 For the zookeepers and ZooCorps teen interns who raise these larvae, it’s a daily exercise in devotion and attentiveness. 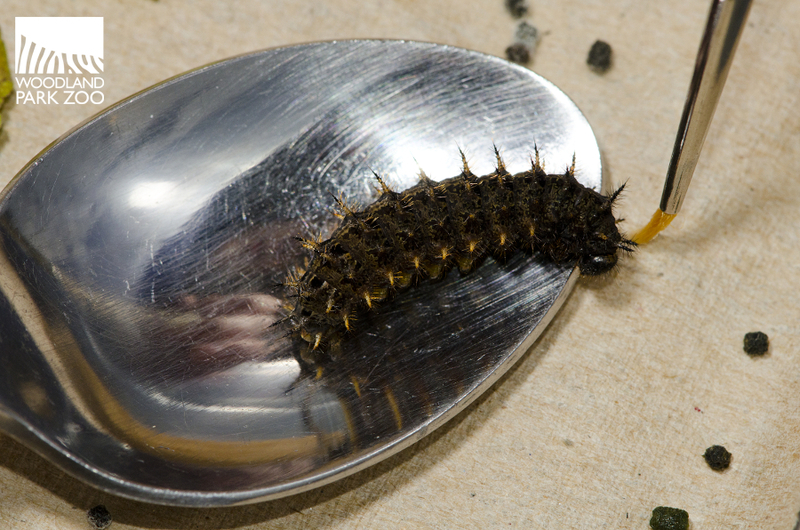 That’s because these caterpillars are picky eaters! Just like the giant panda is synonymous with bamboo and the koala is synonymous with eucalyptus, the Oregon silverspot butterfly is a specialist whose diet is made up exclusively of early blue violet plants (Viola adunca). The crew spends hours each day hand-picking violet leaves off the hundreds of plants tenderly grown by our horticulture staff from the seeds of the very same wild violets found along the Oregon coast. The caterpillars are fed, cleaned and tended to day in and out. Growing! Photo: Ryan Hawk/Woodland Park Zoo. 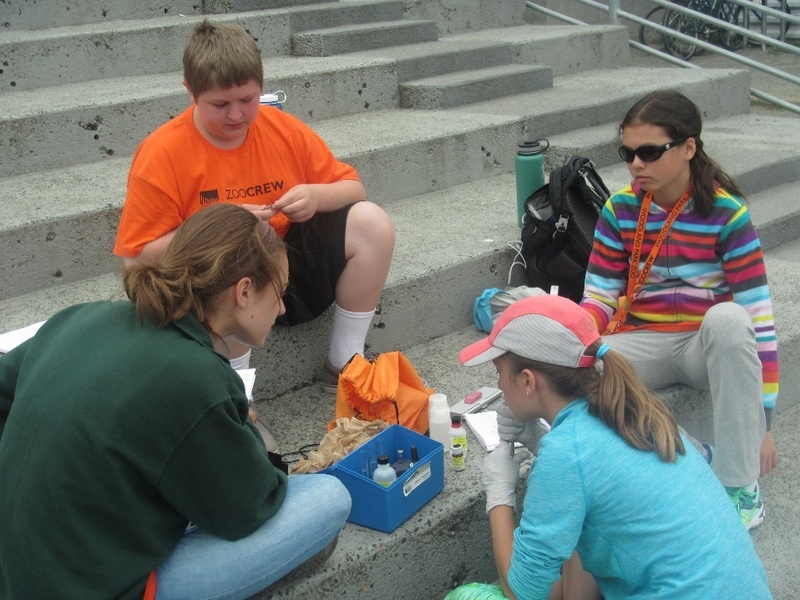 Throughout the summer, as the larvae mature into pupae, they are packed up and shipped to Oregon where our conservation associate then makes regular trips to release them into the field. In violet-rich meadows along the coast, we place the pupae inside small protective enclosures. Within a week they transform into butterflies, outstretching their wings and flying away on a coastal breeze. 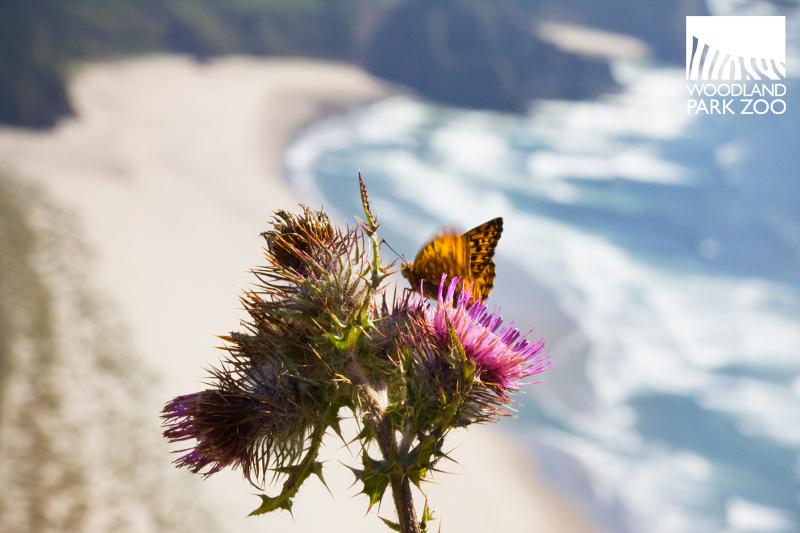 An Oregon silverspot butterfly at Cascade Head, Oregon. Photo: Rachel Gray/Woodland Park Zoo. Over the years, thousands of butterflies have received a head start on life here at Woodland Park Zoo. 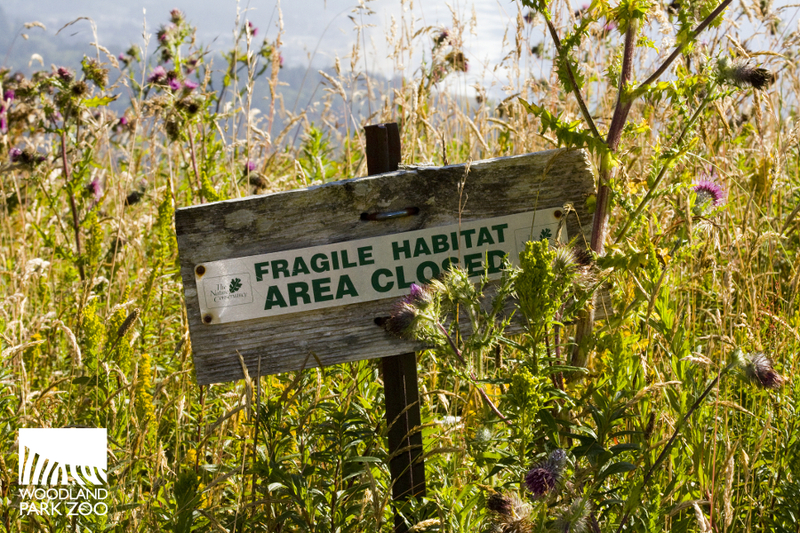 For our augmentation efforts truly to make an impact, we need to assure the future of their habitat is protected too. Silverspots once called the coasts of Washington, Oregon, and parts of California home, but now populations survive only in Northern California and Oregon, where our restoration efforts are concentrated. Their habitat is increasingly fragmented and diminished under threats of development, invasive species and more. The choices you make in your home and community, from what you plant in your garden to what you wash down the drain, can reduce the impact on Northwest habitats to the benefit of all. Save the butterflies, save the plants. Save the plants, save the plant eaters. Save the plant eaters, save the meat eaters. Save the meat eaters, save the health of the habitat. Save the health of the habitat, save the communities that depend on it. Save the communities that depend on it, save ourselves. The inseparable connections bring a whole new meaning to that old trope that one seemingly small change can set off a series of unintended consequences— the butterfly effect. 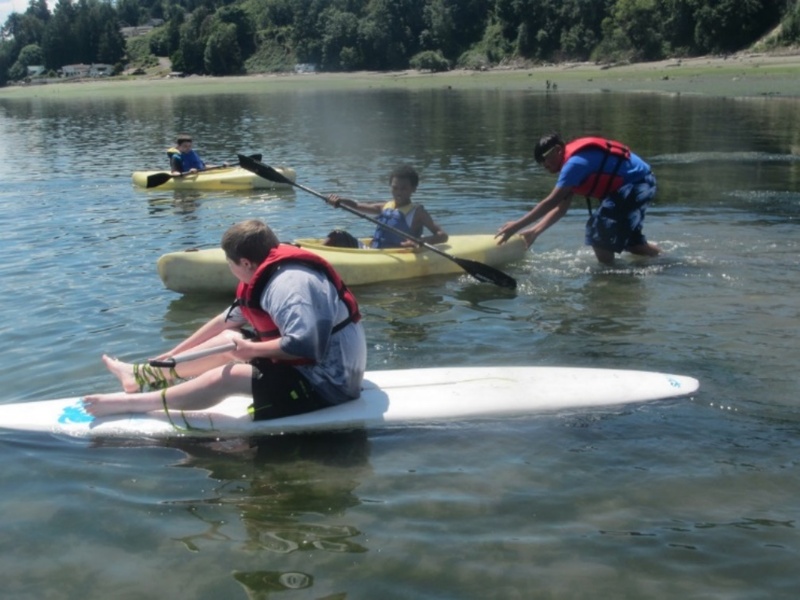 It's up to all of us to sustain Northwest's diverse habitats. Photo: Rachel Gray/Woodland Park Zoo. Native pollinators such as butterflies need native plants to thrive. Visit our backyard demonstration garden in the Family Farm to pick up easy tips on how to incorporate local, native plants into your home and community gardens. Using native plants and compost like Woodland Park Zoo’s popular Zoo Doo will help your garden flourish naturally, reducing the need for pesticides that can potentially harm pollinators or drain away into local waterways. A portion of the purchase of each bottle of Pelican Pub and Brewery’s award-winning Silverspot IPA supports the Oregon silverspot butterfly restoration project and its partners. 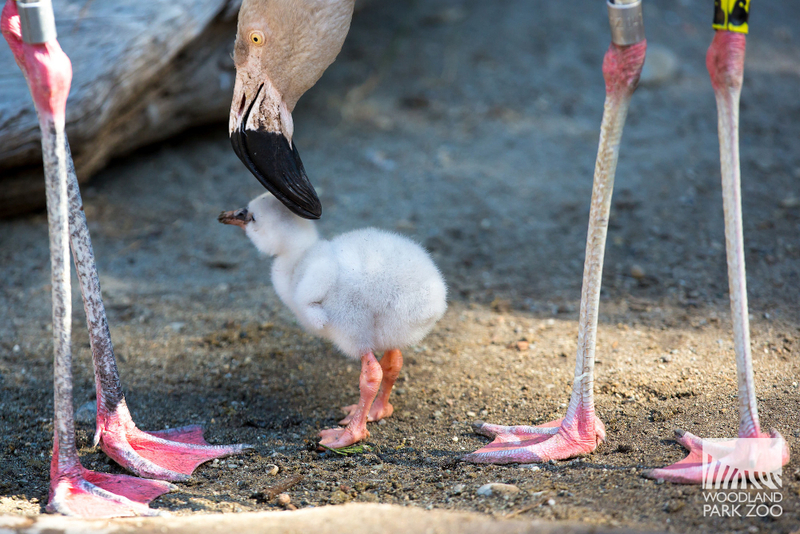 Woodland Park Zoo celebrated its third Chilean flamingo hatching this year on Monday, August 22, 2016. Abandoned as an egg, the chick is being cared for by a dedicated team of zookeepers and animal health staff who are hand-raising the chick behind the scenes. 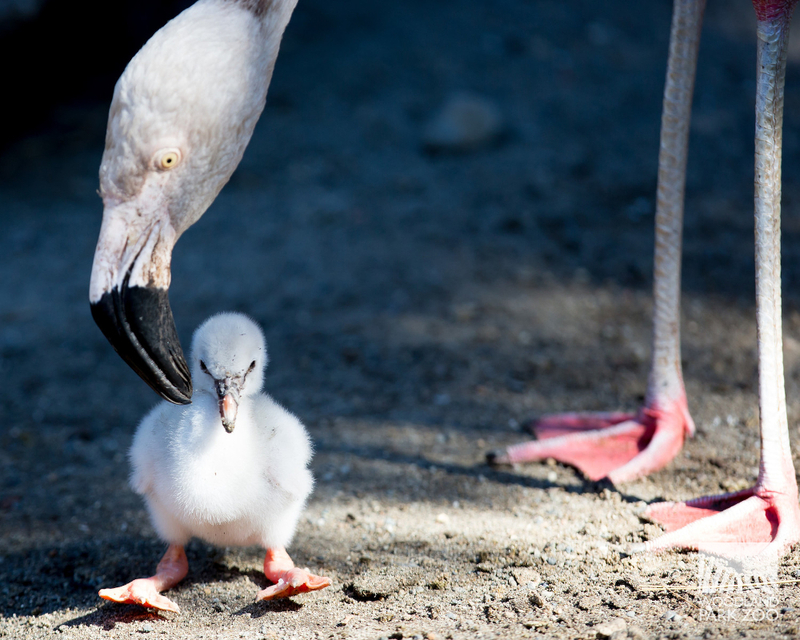 This flamingo chick is being reared by zookeepers until it can rejoin the flock. Photo: John Loughlin/Woodland Park Zoo. Tiny leg lifts! Photo: John Loughlin/Woodland Park Zoo. The flamingo chick is currently fed up to five times a day and is learning to follow its zookeepers as they take it on exercise walks. Once the chick is old enough to eat on its own, in about 30-45 days, it will begin to join the rest of the flock in the flamingo exhibit. Video: Flamingo chick plays follow-the-leader. In addition to the hand-reared chick, two other chicks are currently being parent-reared in the colony. A total of 14 chicks have hatched since the exhibit opened in 2008. The zoo currently has 38 Chilean flamingos. Flamingo chicks hatch with a whitish, gray down and can acquire extensive pink feathering that can be mixed with gray-brown contour feathers at about 1 year of age. Juveniles usually have full pink feathering by 2 to 3 years of age. These hardy, social birds of South America stand an impressive 40 to 42 inches tall, and can live as long as 70 years. One of two flamingo chicks currently living among the flock. Photo: Jeremy Dwyer-Lindgren/Woodland Park Zoo. Chilean flamingos have an extensive range throughout much of southern South America in Peru, Bolivia, Chile, Argentina and Uruguay. They can withstand cold, wet climates. They regularly live in lakes at altitudes up to 15,000 feet, as well as at sea level during the winter months. These lakes are usually inhospitable to all living creatures except for algae, diatoms, aquatic invertebrates, flamingos and other birds. Woodland Park Zoo supports the Flamingo Research and Conservation in Southern South America project through its Wildlife Survival Fund. The project focuses on research, management, conservation, capacity development, and outreach activities at key sites throughout the flamingo distribution range. Continued monitoring is necessary in order to track conservation status of lowland wetlands, and to determine factors driving flamingo use of these wetlands. Two flamingo chicks are living among the flock and being reared by their parents. The chick getting keeper care will eventually rejoin the flock. Photo: Jeremy Dwyer-Lindgren/Woodland Park Zoo.